The motorcycle company founded in part by Hollywood star Keanu Reeves has announced the release of its first production model. Producing a roaring 121 horsepower, the motorcycle looks a little like something Reeves might have ridden in The Matrix, but prides itself on being a real, American-made machine. 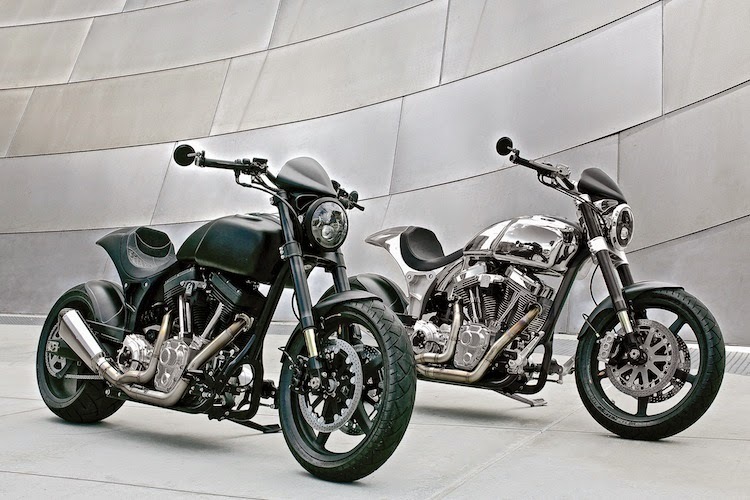 Known as the KRGT-1, the air-cooled V-Twin is produced by ARCH Motorcycle Company and gets its name from the company's founders: Keanu Reeves and Gard Hollinger. Through his company LA County Choprods, Hollinger has been a staple of the Southern California custom scene for a number of years. He and Reeves met when the film star came to him looking for modifications for a Harley-Davidson. Conversation on what should and could be done in the American motorcycling scene soon led to the foundation of ARCH and an idea to produce a custom-style performance cruiser. That's when the hard work began, according to Hollinger and Reeves. Reeves and Hollinger take to the road. ARCH claim to have spent 3 years researching and developing the KRGT-1, and thereafter hundreds of hours machining more than 200 original parts for the bike. In promotional videos on ARCH's website Reeves takes special pride in the fact the KRGT-1 is an American-made motorcycle. Clearly aimed at a wealthy clientèle through its $78,000 asking price, the KRGT-1 is highly customisable to a rider's specific wishes and ergonomics. Handlebars, pegs and controls placement are all adjustable. Production of the motorcycle is limited and a $12,000 deposit is required. 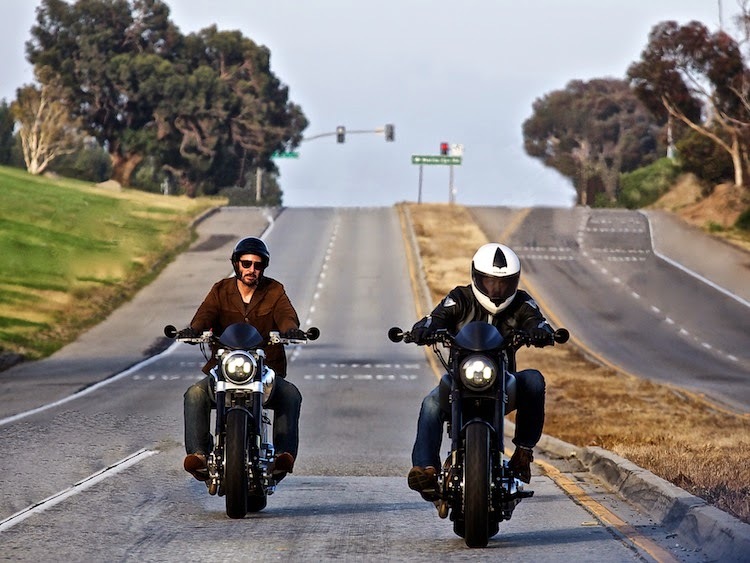 For more information on the KRGT-1 visit the ARCH Motorcycle Company website.